It’s that time of year again. The days are getting longer, the heat is getting hotter, and the fecund cicadas are grinding their tired music in the branches of a thousand quatrains. Summer. The season of linen, sand, and gin thinned with lime juice. It’s a wonderful time to immerse yourself in a book. 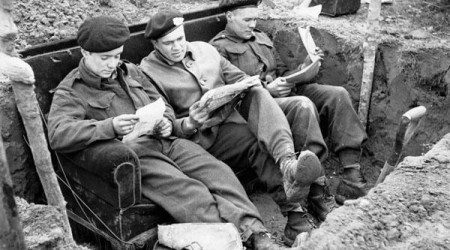 Herewith, a list of recommended reading in fiction, poetry, and non-fiction. What would summer be without sailboats, beaches, and bales of marijuana? 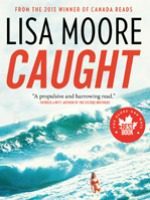 Lisa Moore’s suspenseful, fun and energetic novel narrates the stoned misadventures of would-be weed smuggler David Slaney. After breaking out of prison, having been sentenced in the biggest drug bust in Canadian history, Slaney decides to learn from his mistakes. He sets out to smuggle even more drugs from Columbia, this time without getting caught. This is a well-wrought thrill ride that’s delightfully entertaining. 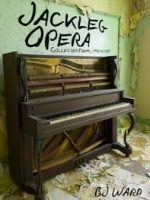 Collecting all the poems BJ Ward has published between 1990 and 2013, Jackleg Opera presents this award-winning poet’s sonically driven work from three previous collections. There is a jangly, propulsive music here that makes the best of these poems surprising yet somehow inevitable. Ward manages to write formal poetry that doesn’t sound stodgy. His work retains an energy through derivations and variations from tradition. Translated By B O D Y contributor Antonia Lloyd-Jones, this collection of essays captures the Czech national character through a series of discrete cultural portraits, including those of Kafka’s niece, the Czech Elvis, and the blowing up Stalin’s statue into non-existence. The original Polish publication by Mariusz Szczygieł won numerous awards when it appeared in 2008. 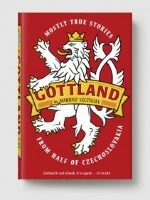 Lloyd-Jones’s skilled translation retains the book’s puckish humor and keen insight. This debut novel from one of Ireland’s finest poets is a marvel of prose virtuosity. With the calm elegance of a seasoned writer, Quinn’s lyrically balanced sentences pull the reader through a family epic that spans two generations of the Boyle family. Starting from the 1950’s, when family’s matriarch and patriarch, Declan and Sinead, first meet, the novel traces the personal and generational turmoil of the Boyles through the turbulent 1960’s and ’70’s that saw Ireland embroiled in a larger, national identity crisis. 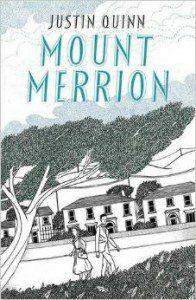 Seen through the eyes of the Boyles, Mount Merrion chronicles with humour, blistering satire and profound sadness the success, failure and tragedy of Irish society in the latter half of the 20th century. From the acclaimed author of the Patrick Melrose novels comes Lost For Words, arguably the hottest read of the summer. Intertwining the stories of several writers as they compete ever more viciously to win their laurels, Lost For Words is a wonderful send up of literary prizes that nearly every writer who has run the gamut of prize competitions will identify with. Complete with an accidental entry, a scandal involving a judge and a vengeful reject, St. Aubyn’s novel nails his anti-heroes right where they’re most sensitive: in the giant, swelling balloons of their literary egos. And here we thought the art of writing was sublime! Read an excerpt here. Set in a vague post-apocalyptic future, Sara Lang’s book-length poem, For Tamara, is both personal letter and survival guide from mother to daughter. What makes this poem especially compelling isn’t the conceit of its apocalyptic vision, but it’s implications. Lang asks the question most of us fail to ask when we imagine survival in a post-apocalyptic word: How much do we really know? To answer this, a considerable amount of research went into the writing of this poem as Lang explains what it means to live without the things we may not even realize are basic necessities (like medicines, generators, fabrics) – things very few individuals know how to create on their own. By taking everything away, For Tamara puts our mutual interdependence on one another in stark relief, while creating one of the most exciting poetry books of the year. Elizabeth Arnold’s fourth collection of poetry, Life in many ways revisits the territory she staked out in her first collection, The Reef, which chronicled her experience with cancer a young age. At the same time, it progresses further than any of her previous collections, pushing the writer further out into the world. Narratively bookended by two extraordinary long poems (one of which we excerpted in B O D Y here), Life traces Arnold’s path across continents and civilizations. At stake are the questions: What is life? What does it mean to live? What does it mean to let go of it? By turns humorous and profound, navigating the space between idioms, Arnold establishes a new language – and within in, a new landscape – for thinking about life and the act of living itself.